We are so glad you have selected eMajor as your choice to complete your degree in an online environment. Your course(s) will be offered in the Georgia Online Virtual Instruction Enterprise Wide (GoVIEW) system, powered by Desire2Learn (D2L). 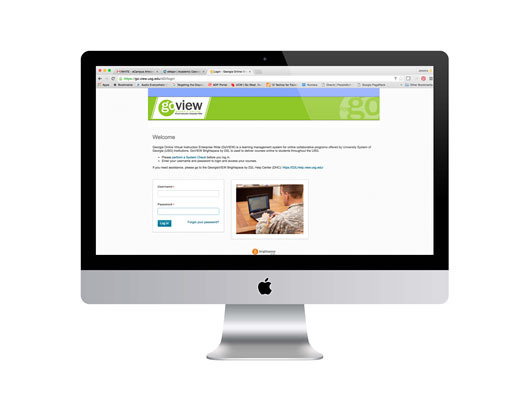 GoVIEW is a learning management system for online programs offered by the University System of Georgia (USG) institutions. In addition to students from your home institution, some programs may include students from other USG institutions. You will not meet in a face-to-face (F2F) classroom. Your class time will be spent inside your online course, accessing the course readings and assignments, reading from your textbook, and interacting with your instructor and classmates. eMajor programs and degrees are offered by institutions accredited by the Southern Association of Colleges and Schools Commission on Colleges (SACSCOC). The courses utilize innovative technology and highly qualified faculty from multiple colleges and universities within the USG. While eMajor courses are flexible, they are not work at your own pace courses or independent study. They are semester-based and will typically have assignments due each week.